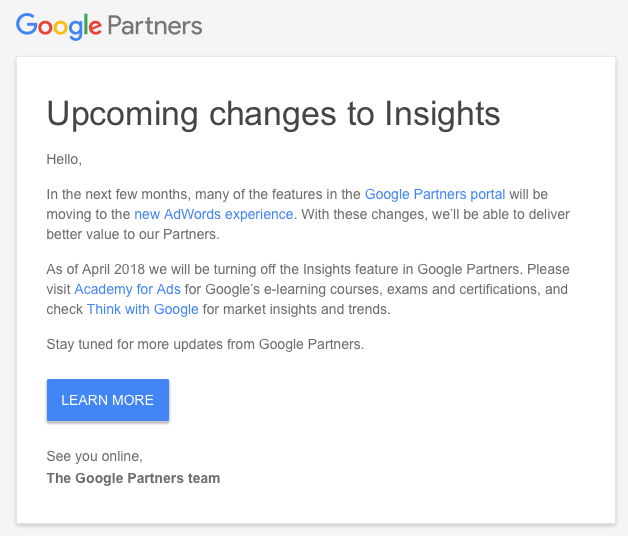 Google sent emails to their Google Partners that changes are happening in April 2018. 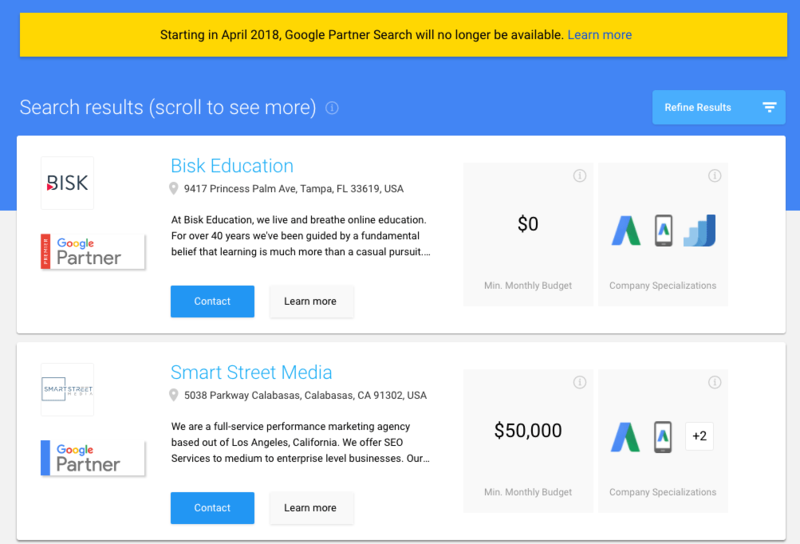 Specifically, Google is killing off some important features for Google Partners including dropping Google Partner Search, the Leads section and the Insights feature. Google has a document describing the changes. Company profile pages will stay live, and you’ll still be able to link to your company’s public profile page from your company’s Partner or Premier Partner badge image. All Google Partners users had access to Insights. After Insights is removed, you will no longer be able to find documents that were previously in the Insights section. To find our e-learning courses, exams and certifications, visit Academy for Ads. For market insights and trends, check Think with Google. If you’re a company admin in Google Partners, you’ve had access to Leads. When we remove the Leads feature, you’ll no longer be able to contact the advertiser from the Leads page in the Partners portal or change the status of a lead, and you’ll no longer have access to the Analytics tab in your My company page. However, you’ll still see contact information for any previous leads.